I’m all for having a healthy lip balm addiction; you can definitely never have enough balms in your handbag at any given time. Lately I’ve slowly been incorporating more and more lip oils into my makeup bag because they have the comfort of a balm with an added tint of colour and a delicate little sheen on the lips. The first lip oil I ever tried is the Zelens lip treatment oil, which I would consider more a skincare item than a makeup one. I tend to use it first thing in the morning or overnight, because it takes a while to sink in – once it has, lips are left a lot smoother and plumper. It’s not sticky in texture, and the scent is so deliciously addictive. A definite makeup pick is the Too Faced peach oil lip gloss, which has the sweetest peachy scent and reminds me of hubba bubba gum! This formula has peach + coconut oil as well as vitamin E which leaves the lips really soft and nourished. The shades also impart a nice sheer wash of peachy colour that’s perfect for a low-key makeup day. Clarins can pretty much do no wrong in my eyes, and the instant light lip comfort oil is all kinds of gorgeous. The red berry and the raspberry shade are particularly dreamy because they can be layered over a bright lip to give a burst of hydration and sheen without losing any of the colour underneath. I really like the shiny finish on this because it has the soft finish of a gloss without any of the heavy _ unpleasant tackiness. For a slightly cheaper (and also slightly sticker) option, the Milani moisture lock oil treatment is a really nourishing pick. I have the healing lemon honey flavour, which doesn’t impart any colour, but does leave a thick and hydrating coat on the lips which I find works best in the evening as lipstick doesn’t layer well over it. The wand is also huge for this product, which makes it easy to apply. 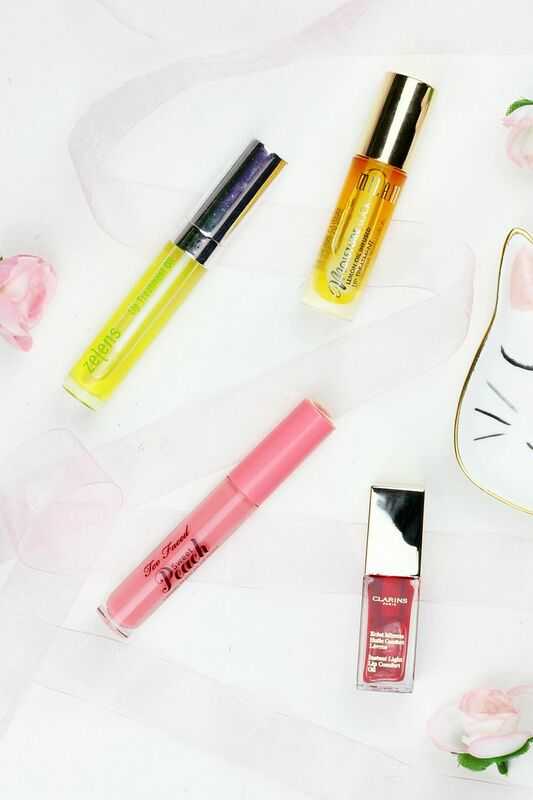 Have you tried a lip oil yet?